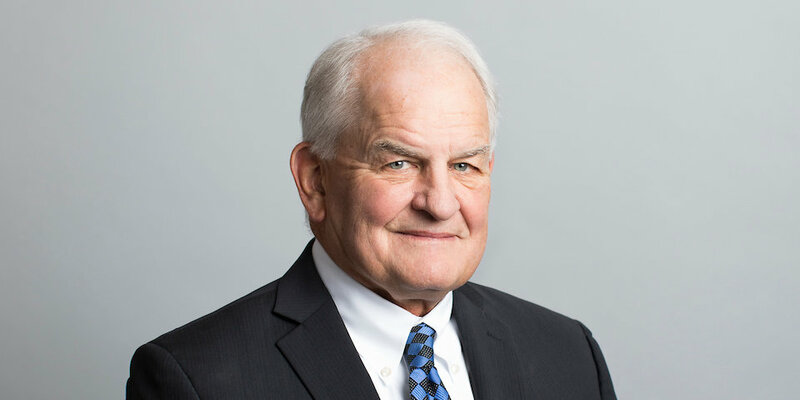 Bill Johnson is a founding partner of Lamson Dugan and Murray LLP, and has served as its Managing and Administrative Partner. Mr. Johnson’s litigation practice concentrates on the defense of complex commercial litigation, including but not limited to: breach of contract; close corporation disputes; partnership dissolutions; estate and trust litigation for banking entities; products liability defense; and professional negligence claims against attorneys and accountants. Mr. Johnson served as Secretary on the Executive Committee of the United Way of the Midlands for many years. Bill served as attorney for the Midlands Chapter of Inclusive Communities and has been presiding-chair of its Board of Directors. He chaired the District Two Committee on Inquiry of the Nebraska State Bar Association. Outside the office, Bill enjoys woodworking, fishing, reading and playing with his grandchildren. Has represented natural gas pipeline companies, railroads, and manufacturers of semi-trailer tractors, carbon dioxide, ethanol, and pigment. Defended large-loss insurance claims, both for insureds and first-party and bad faith claims against insurance companies. Local Nebraska counsel for patent and trademark litigation, MDL litigation including asbestos, latex and aviation accidents. Represented victims of Ponzi schemes. Appeal counsel in the Nebraska Supreme Court, the Nebraska Court of Appeals, and the U.S. Court of Appeals for the Eighth Circuit. Mr. Johnson received his B.S. and M.A. degrees from Creighton University and his J.D. degree from Creighton University School of Law. Mr. Johnson is admitted to practice in the State and Federal Courts of Nebraska, the U.S. Court of Appeals for the Eighth Circuit and the United States Supreme Court. Mr. Johnson is a Fellow of the Nebraska State Bar Foundation, a member of the Omaha Bar Association, the Nebraska State Bar Association, The Defense Research Institute, and the Defense Counsel Association of Nebraska.